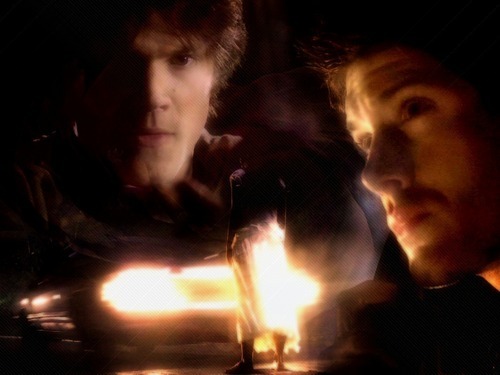 Sam. . HD Wallpaper and background images in the Sam Winchester club tagged: sam winchester supernatural jared padalecki dean winchester 1x01 pilot. This Sam Winchester wallpaper contains fuoco, fiamme, inferno, candela, cono, luce cera, conica, and cera luce. There might also be fuoco.